Just a reminder! Hudson's Bay has a great promo code out now for beauty products! 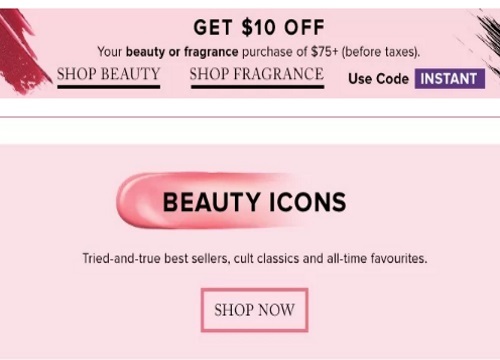 Save $10 off on beauty and fragrance purchase of $75 or more before taxes. Enter the promo code INSTANT to get the discount.